Ray Simpson is a British based recording artist (not to be confused with the American artist of the same name ) who was inspired by the soulful sounds of Motown, Stax, Atlantic Records, Philadelphia International and others, which led him to follow his dreams and achieve a career as a musician. Ray went on to develop a varied solo career as a vocalist, producer and songwriter, writing for himself and other popular artists such as Maxi Priest, Sugar Minott, Al Campbell and Barry Boom to name a few. 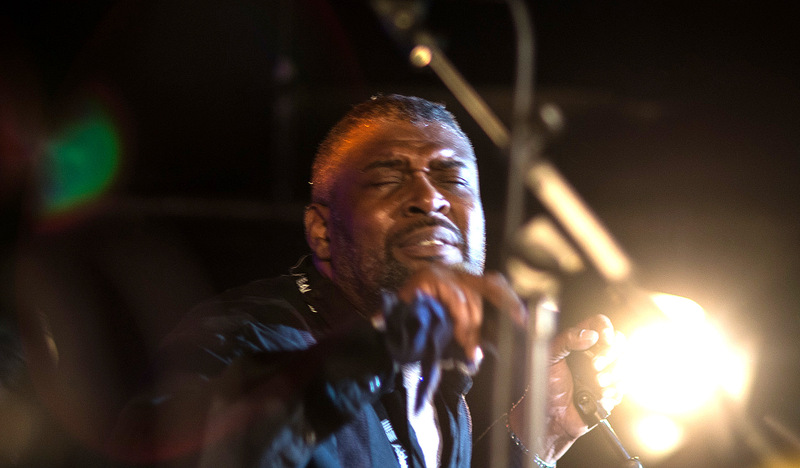 Over the years Ray has worked with Will Downing, Jocelyn Brown, Loose Ends, Maysa Leak and Caron Wheeler and was a featured soloist with UK Funky Dread Band Soul II Soul on their album ‘Time For Change’ on which he penned the single, ‘Pleasuredome‘. Ray’s connection with Cymande dates back to the origin of the band in the 70’s, when as a young schoolboy he would watch the band practice in their Brixton basement and thereafter follow their progress with great interest through the connection between his family and the family of Sam Kelly and Derrick Gibbs. When Cymande formally reunited for the new album and tour venture in 2012, Ray was one of the band’s first prospective choices for the role of lead vocalist. At that time Ray’s commitments were such that he was not able to become part of the project. However, the unfortunate withdrawal of Trevor White from the Cymande project at the end of 2015 due to personal circumstances, coupled with Ray’s recent availability, created the opportunity for him to get on board for the US tour in June 2016. Here he is performing Crazy Game with us at XJazz 2016, Berlin.